If you’re looking to set up a home gym but your budget doesn’t extend to digging up the ground underneath your home with the accompanying disruption, not to mention disgruntled looks from neighbours, then there is an alternative that’s affordable, less problematic and relatively quick to set up. The alternative? A garden gym building – as long as you have a garden of course. Not only will a garden gym building give you the home gym you’ve dreamed of, but it will be much easier to set up, cause minimal disruption and cost considerably less than an extension or basement space. Also, you’ll have fewer building planning constraints so you can design and build your garden gym building to the specification you want*. 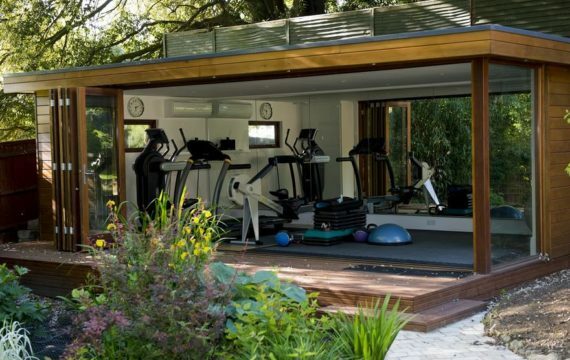 You’ll be able to create a garden gym building with lots of natural light, something not available to underground home gym spaces, which will increase the natural feel of the space, and go a long way to improving your wellbeing. With so much scope and freedom then the only limit for your garden gym building design is your imagination. How Big Does A Garden Gym Building Need To Be? An internal area of up to 30m² would be more than sufficient to create a home gym space that would have a good mix of home gym equipment. 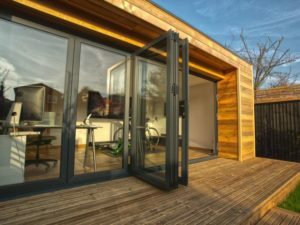 However, the size will depend on the space you have available and whether you want the garden building to be a multi-purpose space – for storage, games room or office space. In addition, you can expand the useable floor space by including decking outside the garden gym building, so your workout can be taken outside, weather permitting! What Home Gym Equipment Can I Use In The Garden Gym Building? 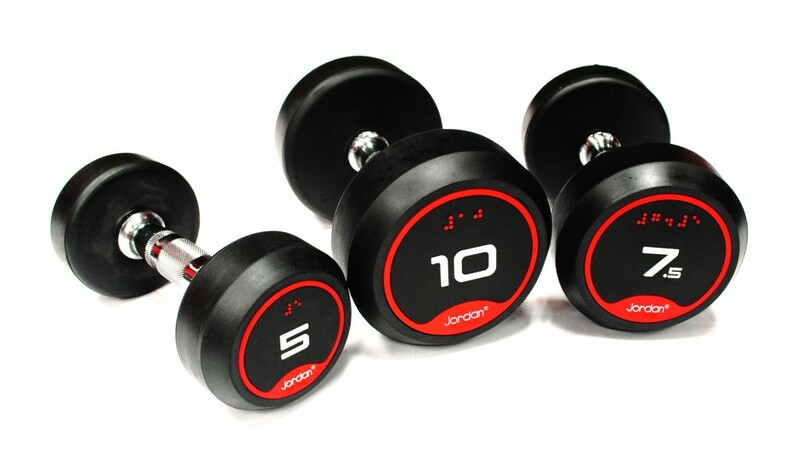 As long as there is sufficient height – 2.5m is recommended if you wish to have a treadmill or cross trainer – and power supply, then you can have any type of home gym equipment that you would typically see in a commercial gym. 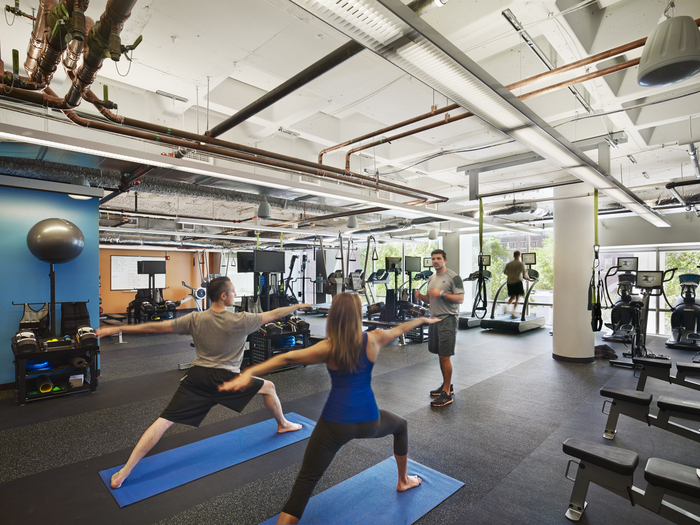 Even suspension systems, such as a TRX suspension trainer or punchbag can be hung from the ceiling as long as reinforcement is built into the structure where the equipment will be located. Similarly, if you plan to use Olympic bars and weight plates then you can either use a lifting platform or put down heavy duty gym flooring. 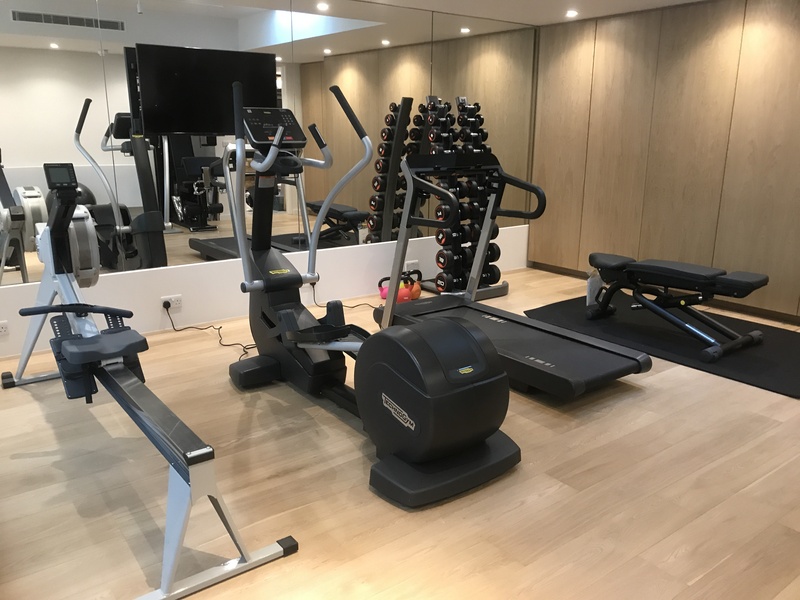 A typical garden gym building sized with an approx internal area of 20m² can house the following pieces of equipment: – Treadmill – Cross Trainer – Spin Bike – Dumbbell Set – Adjustable Bench – TRX Suspension Trainer – Swiss Ball – Stretch Mats. In other words, all the home gym equipment you would need for a great gym workout! 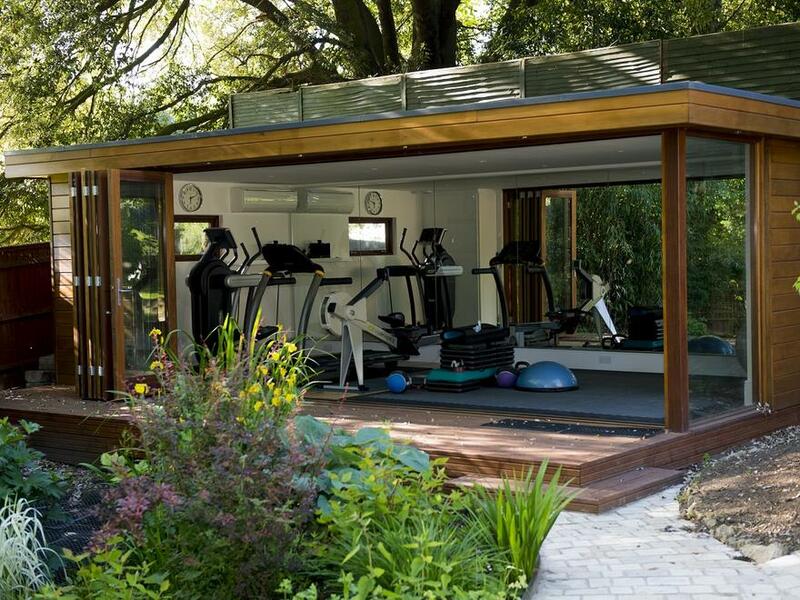 A garden gym building is a convenient and smart way to circumvent the time and disruption caused by building a gym within your home and would add another separate private space to enjoy your leisure time and keep on top of your fitness.